Motor Burger is a popular burger joint which was featured in Readers Digest and on the Food Network. However, many people are starting to find out about them because of their beer. They only serve beer brewed in house under their Motor Craft Ales brand and were pioneers in the nano-brewery trend in Windsor-Essex. 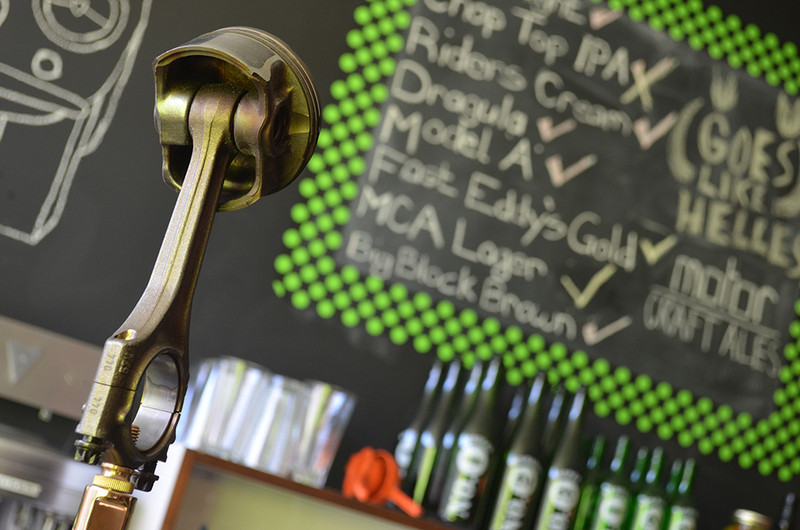 They carry 12 of their brews on tap and constantly experimenting and rotating their offerings. They also provide samplers in 4,6 and 8 offerings in custom made trays to look like cylinder heads on an engine. These folks were born to make great beer and we’ll break down co-owner Gino Gesuale’s last name to prove it. Gesuale. Gesu. Ale. Gesu is Italian for Jesus. Jesus Ale. Enough said. WindsorEats Tip: If you’re a fan of having some kick in your food, the Motor Craft Ales Chop Top IPA pairs amazingly with the Firebird burger. The beer menu at Rino’s only consists of craft beers, which seems to be something craft beer lovers like. While their list is constantly undergoing a transformation, they still have 12-15 regular offerings by the bottle, 4 on tap and then 5 or 6 specials that rotate monthly. That’s roughly 20-22 beers overall if you were keeping count, but, it’s been known to grow to 30 plus sometimes. Not to be left out, Rino’s was also featured on the Food Network Canada. WindsorEats Tip: Every third Thursday of the month, Rino’s hosts a craft beer club where they bring in 4 new beers to sample in flights or on their own. They carry those beers for a few weeks afterwards, so be sure to ask about their seasonal features. Billy’s Pub & Grill has been serving craft beer long before it became the mainstream trend. Their taps are a revolving door of different craft beers. Located in Essex, Ontario, they provide guests with educational beer cards informing them of the style, type, alcohol level, IBU and brewery of each beer they offer. There is no questioning the passion this place has for craft beers. WindsorEats Tip: Two patios and two volleyball courts allow for a great atmosphere to drink some beers. It’s name says it all. It’s a brewery. While everyone knows you can go in and pick up a growler or two of your favourite brews, there is also a bar and seating area where you can stay, sit and enjoy a few pints with friends, as well. A great thing about the brewery having a bar/tap room is that you can “try before you buy”, allowing you to sample any of their beers on tap before you purchase. 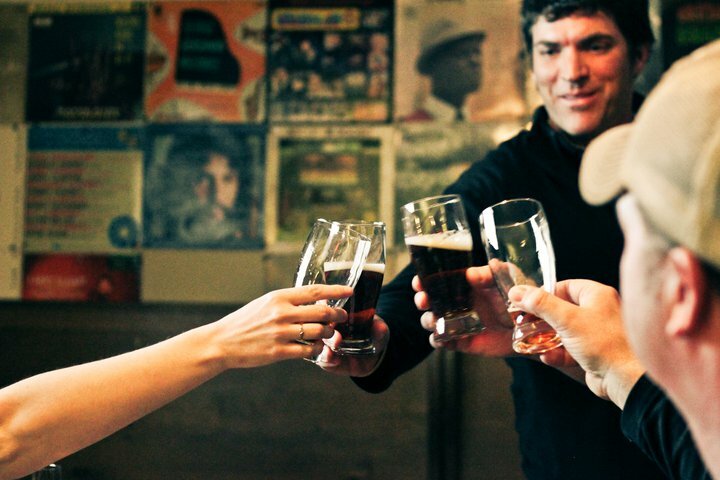 WindsorEats Tip: A great way to experience Walkerville Brewery and its surrounding historic neighbourhood is through the Drinks of Walkerville walking tour. 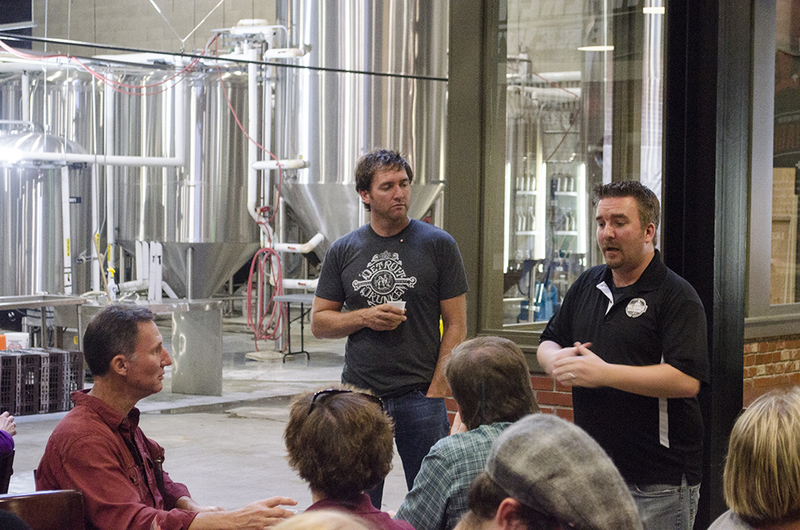 The Windsor Beer Exchange has a concept new to Southern Ontario. Their beer and prices are showcased on screens in the bar and prices fluctuate similar to a stock exchange. 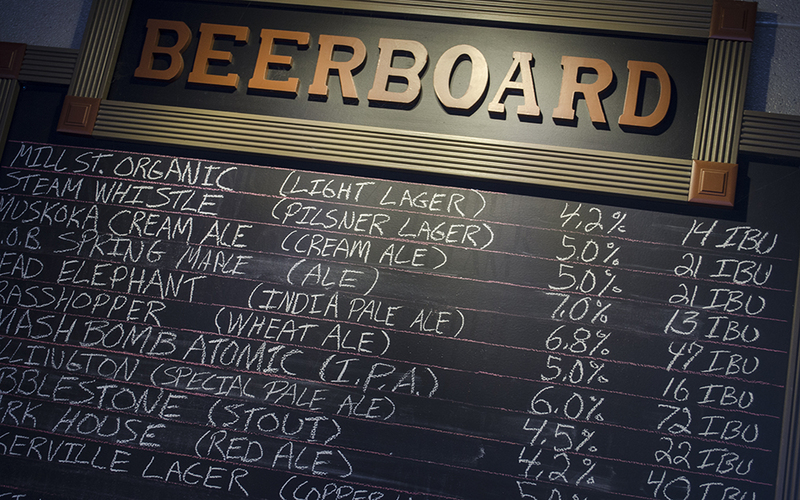 With several Ontario craft beers on tap, it’s a fun and tasty way to try out some beers. WindsorEats Tip: What goes better with beer than a burger? If you’re looking to save some cash, visit on a Wednesday night when burgers are only $2 each. 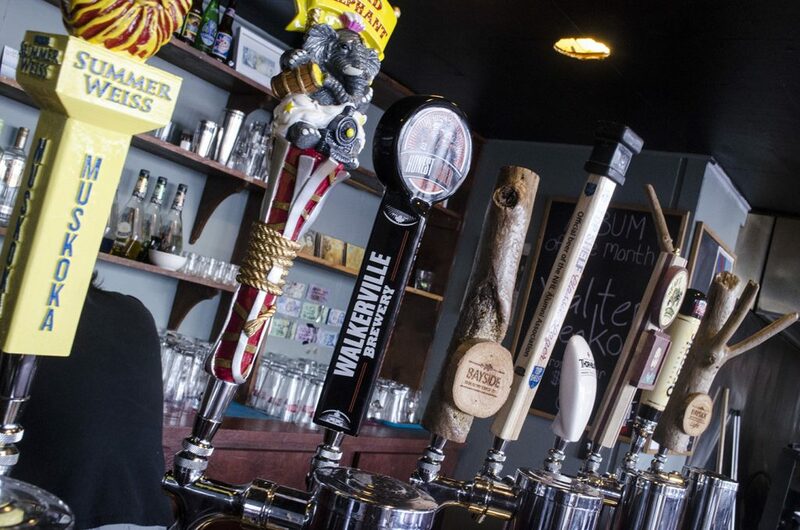 Jack’s, in Kingsville, Ontario, currently has up to 10 craft beers on tap including up to two from their very own Banded Goose Brewing Co. located inside Jack’s. As their beer is being produced in small batch production, they have been selling out quite quickly. WindsorEats Tip: In addition to their draught line up, Jack’s has also recently launched their Sharing Line up of 600-750ml Seasonal Bottles. 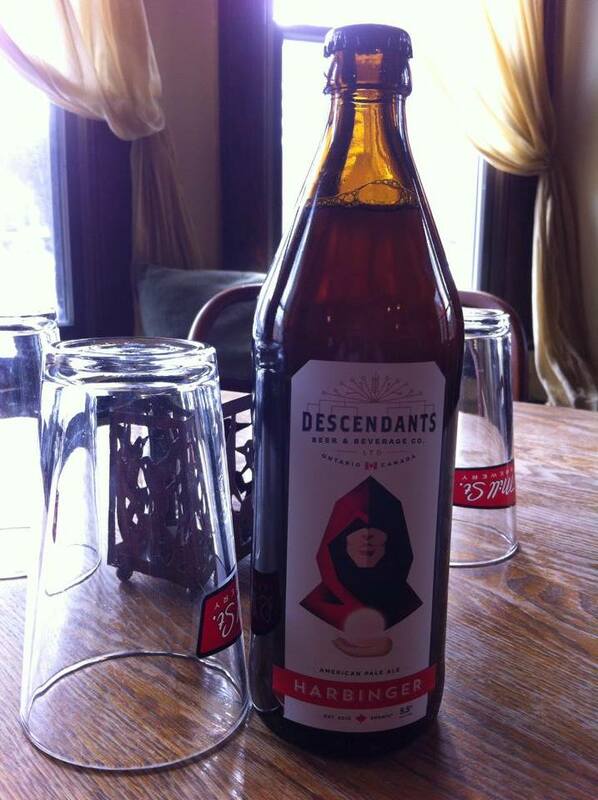 These bottles are great for sharing and to try rare seasonal beers not usually offered on tap. You didn’t think we’d be leaving a pub with 30 taps off the list, did you? 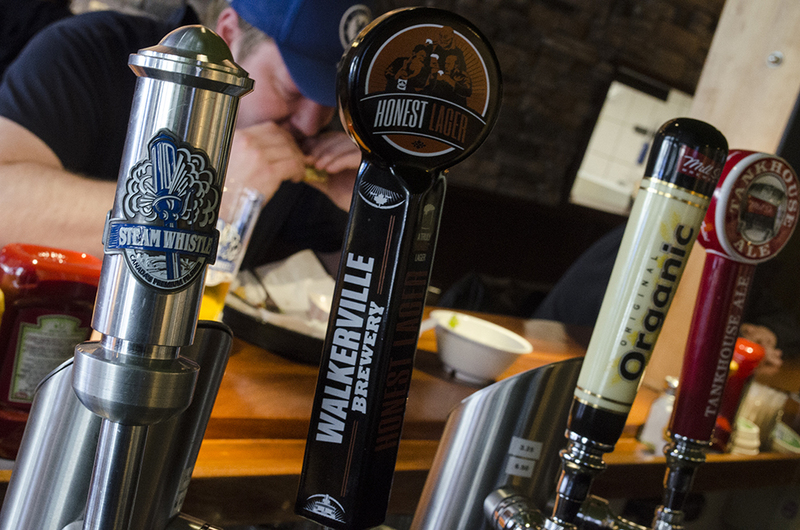 Rock Bottom usually carry 10 or more Ontario craft beers, including the likes of Windsor Craft Beer Festival participants Mill Street, Walkerville Brewery, Wellington Brewery and Railway City. Quite a few of the Rock Bottom taps rotate as well on weekly, monthly and a seasonal basis. Another big plus in our books: they offer a never-ending bucket of complimentary peanuts. WindsorEats Tip: Can’t decide what to drink? Try a little bit of everything with their Sampler: eight 7 oz. glasses with whatever 8 beers you want. Rock Bottom is usually a popular stop on the Bikes & Beers cycling tours, too. While many know this restaurant for their great burgers, they also have a great selection of Ontario craft beer to choose from. While they have 4 on tap, they have at least 11 more in cans or bottles. They serve their draught beers in either 10 oz. half pints or 20 oz. full pints. WindsorEats Tip: Mamo Burger Bar took the time to pair their craft beers with their burgers. Be sure to ask your servers for the best flavour experience.